Using cash-in-hand for your transactions is a thing of past now. Switch to safe & secure cashless transactions through Paytm Wallet. You can use Paytm Wallet for mobile recharges, bill payments, shopping, bookings and much more. Paytm also provides cashback benefits with promo codes which you can use in any of your transactions. If you have money in your Paytm Wallet and you have already used it for shopping or bill payments, then if you wish to transfer money from paytm wallet to bank account, you can easily do that. Now transfer Paytm wallet money to bank account with Paytm app instantly. After your money has been successfully transferred to your bank account and the transaction is complete, you will get a receipt on your registered email ID and mobile number. How can I Transfer Paytm Wallet Money to Bank Account? That's it. Money has been transferred successfully to bank account. 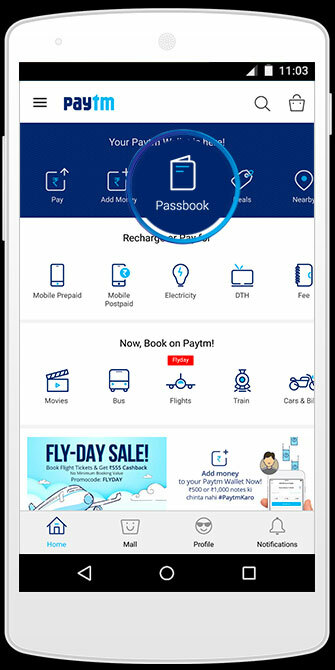 You can download the Paytm app from the Google Play Store and login with your credentials at Paytm to start the process of paytm money transfer to bank account in short steps.